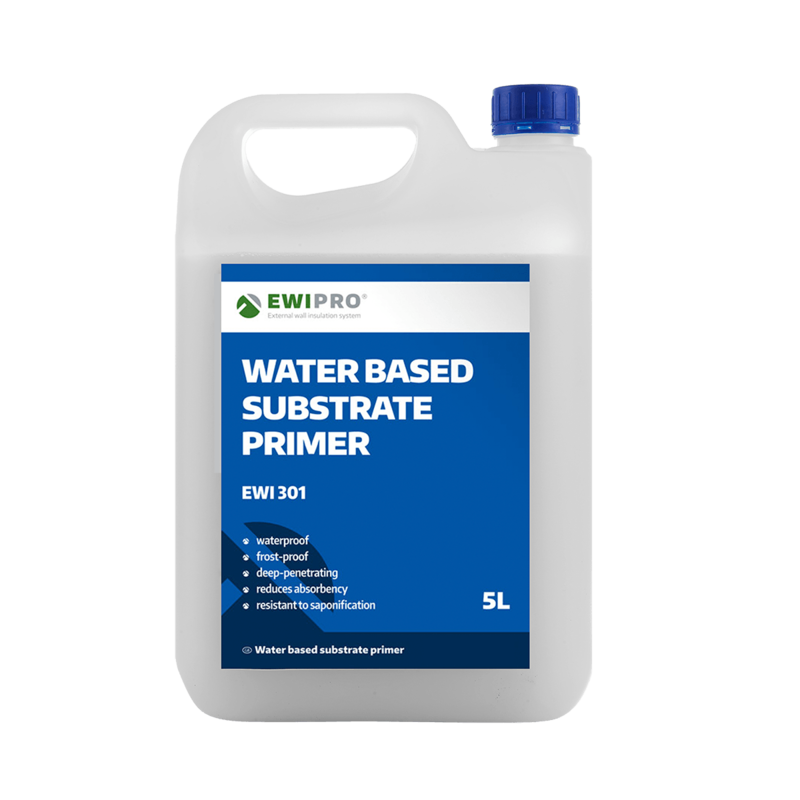 The Water Based Primer is an essential primer for preparing the wall before installing EWI or render only systems. The primer dries completely colourless and works by limiting the amount of water that the substrate absorbs from the adhesive, thereby ensuring effective application of materials. It provides enhanced adhesion and enables a dependable and durable finish. 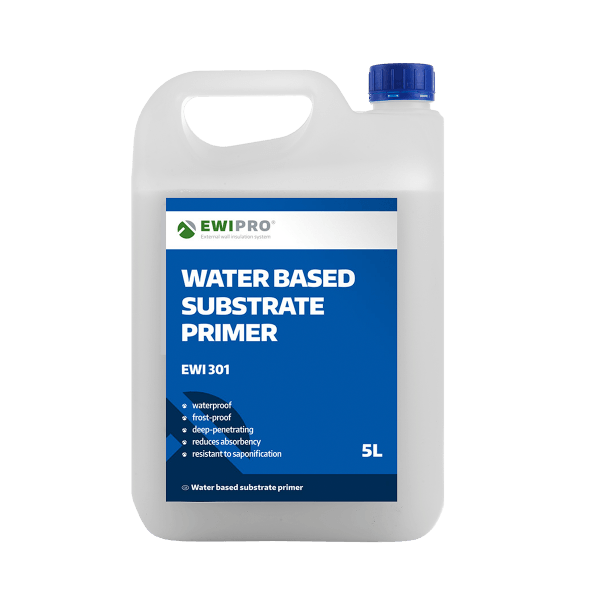 Water Based Primer is designed for priming various different absorptive substrates including ordinary and cellular concrete (e.g. aerated concrete), walls made of bricks, blocks and structural clay tiles, plaster coats, gypsum panels and gypsum plasterboards. It is applied to the substrate prior to the application of paints, adhesives, cement or cement and lime-based plaster coats, skim finish products, ceramic tiling, floor screeds and even wallpapers. Water Based Primer should be applied in temperate weather and should not be used in temperatures above 30°C. Likewise, if the materials or the substrate are frozen, work should be postponed. Water Based Primer should not be applied in rain or humid conditions, or if wet weather is expected before the wash has dried. EWI-301 is available in 5 litre jerrycans.